The husband of Jim Carrey’s late girlfriend has filed a wrongful death lawsuit against the actor/funnyman stemming from her suicide last year. The case, however, may be a difficult one to win. We’ll tell you why here. What Happened To Jim Carrey’s Girlfriend? Cathriona White dated Carrey for a couple of years even though she was married to Mark Burton at the time. In fact, she and Burton married in 2013. Tragically, she took her own life in September 2015 by taking a host of different prescription medications. In his lawsuit, Burton claims that he has evidence linking Carrey directly with her death. Was Jim Carrey Responsible For His Girlfriend’s Death? 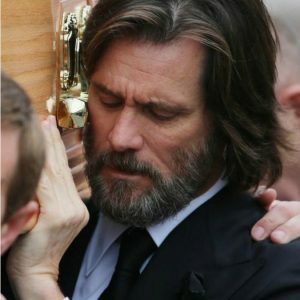 According to Burton, Carrey provided White with Percocet and Ambien – even though he (Carrey) was well aware of her history of depression and suicide attempts. Specifically, Burton points to a text message from Carrey to White asking where the pills were. Burton says the text reveals Carrey’s attempts to hide his involvement. Why Will The Case Be Difficult to Prove? It’s important to remember that in order for a wrongful death claim to be successful, the chain of events that led to the death must be direct. Because White took her own life, the direct chain between her and Carrey was broken. How Can Burton File The Wrongful Death Claim? Burton filed his case in California. While each state has its own laws regarding wrongful death claims, California and Alaska are similar in regards to who can bring file a wrongful death claim. Such claims can be made by a personal representative of the deceased person’s estate. Damages, though, can be sought on behalf of the estate and the individual survivors. Losing a loved one is a devastating event – perhaps even more if the loss is caused someone else’s negligence. If you have experienced what you feel to be the wrongful death of a loved one, Barber & Associates can help you. There’s never a charge for the first consultation, so call us at 907-276-5858.